Janet has worked with European Lifelong Learning Programmes since 2004 and she is very passionate about maintaining high standards of service in finding quality work placements and accommodation for students and creating a positive experience for them.Janet named her Company Almond, as the Almond flower is the first flower to appear in Spring to signify a “new beginning”. Janet wants students who come through the organisation to have a good experience, which will give them life-changing opportunities. Almond Vocational Link has had a prestigious Partnership project approved under the Lifelong Learning Programme in 2009 and also gained many partners under the LLP in Mobility both for students in Initial Vocational Training as well as for People in the Labour market. The Company has also been involved with VETPRO projects and had a great experience as a co-ordinator of the Grundtvig project. 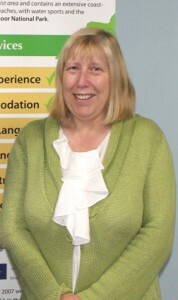 Janet formed many close relationships with partners from abroad that have brought students to us year after year.